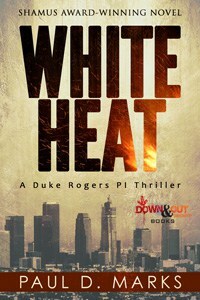 SMFS Member Paul D. Marks has announced that his 2013 Shamus Award for Best Indie P. I. winning novel, White Heat, has just been reissued by Down & Out Books. The book is available at the publisher, well as Amazon, and elsewhere. 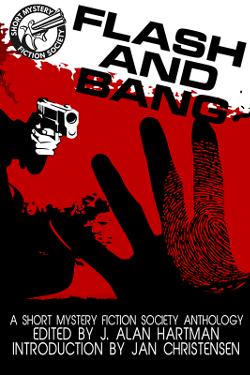 Publisher Synopsis … Winner of the 2013 Shamus Award for Best Indie P.I. Novel! The immediate problem: getting out of South Central Los Angeles in one piece during the 1992 “Rodney King” riots and that’s just the beginning of his problems. Duke finds an old “friend” for a client. The client’s “friend,” an up and coming African-American actress, ends up dead. Duke knows his client did it. Feeling guilty that he inadvertently helped the killer find the victim, he wants to track down the client/killer. He starts his mission by going to the dead actress’ family in South Central L.A.—and while there the “Rodney King” riots ignite. While Duke searches for the killer he must also deal with the racism of his partner, Jack, and from Warren, the murder victim’s brother, who is a mirror image of Jack in that department. He must also confront his own possible latent racism—even as he’s in an interracial relationship with the dead woman’s sister.